does this mean i get a second bowl of gruel on sunday? rno and alex and amals did it to it and closed the tent a thon for 2015 in fact we have an overage we shall apply to the 2016 tent a thon as we did augirls overage to the 2015 this time from the 2014 starter. see below why we’re late this year for last. don’t kill the messenger please. the tent-a-thon for 2015 is below. Weston gave us a deal for a flat fee for his most excellent services of 500 annually. far far cry from the posters paradise costs of upwards 3400 but then we know why that was too. oh well one thing I can say is I am pleased in our circumstance and our web master is super #1 in my book. we also agreed to pick up annual server and of course domain names .com…net…org… for total [rounded] 140 bucks. 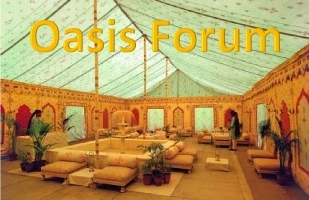 10/11/14 ……………50………lost home page and oasis banner picture/graphics with 403.17 error. 03/16/15 ……………35.34….renewal of go daddy .net and .org on johns cc. 07/04/15…………….90……..hostmantis at 7.50 per month for one year re: weston server. 2015 ten-a-thon total costs are a mere 690.51. folks a far far cry from the last on posters paridise of 3400+ smacker-roos. weston is doing us a fine job for an annual flat fee of 500. we also volunteered to pick up the server charge of 90 and renewals of course of domain names for 50 an additional 140 structural obligation. there it is gang in transparent form just the way it should be. grand total for 2015 is 690 and keeping in mind our very own augirl last year added a 50 duller bill over and above the call of duty for odds and ends. we shall start with her this year since I have quit drinking so had no place to spend it and I sure hope she peeks in thru the flaps once in a while since she is missed indeed. I will follow up with the odd ball 90 this year leaving 550 to be fulfilled or better stated 11 slots of a 1/2 c-note pledge. much thanks folks and now on with the show. wanka…..received thank you ……..90..with 35 paid credit leaves ..a slot and 1/10th for 55 alex. maddog… .received i think? much thanks..50 smackers to the address above. wheeee I’m going to brazil! commish…..received thank you…. .50 it is my friend. from the acorn stash you squirrelly kinda guy! ipso facto……………….. received thank you..50 and that’s a fact jack!.. samb……………………. .received thank you .50 always a stand up guy even while sitting! winedoc…..received and thanks pard ….50 always our doctor in the house. buygold…much thanks good bud. ..100 and free sand swimming lessons for two. [gg]and since its easy you win the next years overage for 100 alex! good job! alex valdor….received thank you. ….50 see see amigo. when in florida you ever get down kw way? amals….received thank you. ….50 big thanks but ‘where were you? inquiring minds an all!